I think almost anyone you talk to these days would say they want to travel more. With social media, it's easier than ever to see what our friends, acquaintances, and random bloggers we follow are up to, and it seems many of them are constantly on an exotic vacation. If you're like most normal people, you want to jet set to that overwater bungalow or 7-country Europe tour, too! The reality is that travel is a privilege and it's definitely not cheap. Most of us are still paying off student loans, mortgages, and saving for school tuition for our kids. Dropping an extra few thousand dollars to travel each year seems impossible. But I'm going to let you in on a little secret that I've discovered. With enough determination, grit, and planning, many people (not all - every life situation is different) can save the extra money it takes to travel more. You just have to be properly motivated to do it. That was definitely the case for our family. We are still working our butts off to pay off student loans and save for a house, AND we have 3 little kids. There is no "extra money" lying around in our bank account. What changed was that I got a job as a freelance travel writer. Suddenly, I was motivated to have experiences to write about. You better believe I started getting creative to save for travel - and fast! I'm going to share how our family started and grew our travel savings account this year, and how you can, too! Listen, I'm not about to give you budget or spreadsheet advice. I'm terrible with details, and I hate balancing a checkbook. I don't enjoy tracking every penny. But what I AM saying is find a budget style that works for you. If you don't know where your money is going, how can you find extra to put toward travel? A free app I found that works for my big-picture thinking is Daily Budget. (I'm not getting paid to talk about this app. I don't get any money if you sign up. I just use it and love it!) It's the yellow square with the picture of the piggy bank in the app store. You only need a few small details to get it up and running - your fixed monthly income, your fixed expenses that are the same(ish) each month, like rent and car payments, and what percentage of your income that you want to save. The app will then set a daily budget for you. This is what you can spend each day on things like gas, groceries, and entertainment to reach your goal. If you don't spend your budgeted amount that day, it rolls over to the next day. So if you know you're grocery shopping on Friday, try to spend as little as possible Sunday-Thursday so you've got the amount you need on Friday. Seeing your daily amount go up gets you motivated to spend less. I know that some of us are sick of the same old budgeting advice: Pack your own lunch! Don't buy a latte at Starbucks! Buy store brand instead of name brand! But what if you're already doing those things? Sometimes it just takes a mindset shift to put down that unnecessary pillow from the Dollar Spot at Target or get creative with the leftovers and canned foods in your kitchen because you want to see that number go up in your app. Good news. You can put multiple savings goals in the app with different time frames. Save up for travel, to pay off a loan, for Christmas gifts, etc, and it will help you reach all those goals at once. We love our bank. We have no complaints about it. The only trouble was that we had one savings account for all of our different goals. The money we were setting aside for taxes was getting mixed up with money for Christmas and money for travel. I discovered there is a savings account called Capital One 360 which you can connect to your already-existing bank account for free, and start up to 25 separate savings account for different goals. This was exactly what I was looking for, so on New Year's Day, my husband and I opened up a few accounts for travel, Christmas, and saving for a house. We set up monthly recurring transfers to these accounts, so now we don't even have to think about it. Our budgeted amount automatically gets earmarked for something that's important to us -like travel! Use your Daily Budget app to contribute money above and beyond your budgeted amount to save money faster. I don't subscribe to the belief that if you tell the universe what you want, it will bring it to you. I subscribe to the belief that if you are focused on a goal, you'll do what it takes to achieve it. You'll make small sacrifices when they are called for because your eyes are on the prize. The way to do that is to remind yourself day in and day out why you're saving this money. Put post-it notes on every mirror with motivating messages: "I can't wait to sip a glass of wine while watching the sunset in a plaza in Spain." "Soon our family will be hiking Machu Picchu!" "I'm laying on the beaches of Tahiti looking out over the crystal blue water." The more specific you are, the more you'll be able to picture this vacation, and the more motivated you will be to save money for it. Other options are to create a Pinterest board dedicated to your trip, print out pictures and put them up on the fridge, or even make a vision board. Is there anything you can cut from your budget? I'm going to keep this short because we all know the difference between needs and luxuries. We all have a different set point of what luxuries we are willing to give up in exchange for the trip of a lifetime. Maybe for you, that means keeping Amazon Prime and Hulu but getting rid of Netflix. Maybe that means cutting your clothing budget in half. Maybe your budget is already as bare-bones as it can be. Just give it a quick scan to see if there are any extras you're willing to do without. I'm not here to guilt anyone into getting rid of a small luxury that makes their daily existence more joyful. Just be wise about which ones you keep and which you can do without. This is the beauty of being a grown up. I don't know if it's my personality or the fact that our budget is already pretty minimalist, but I find it much easier to earn extra money than to find MORE to cut from our spending. We live in a magical time where it's so easy to earn a few extra bucks here and there if we're willing to swallow our pride and dedicate our time. I have so, so many suggestions for how to earn more money that I wrote a whole post on it here. start a Network Marketing business (same as the blog...but there are many companies where you can earn a lot of bonuses quickly to put toward travel). clean out your closet and sell your clothes (I'm sending a big bag to ThredUp), or have a garage sale. The caveat for this tip is that you must have self-control. If you don't trust yourself with credit cards, don't try this. However, if you know you'll only spend what's in your bank account, then using a travel rewards credit card is worth a try. If you know you'll be flying somewhere for your dream trip, choose an airline credit card, then charge all of your normal monthly expenses for the first few months until you spend the amount needed to earn 10,000 points/miles (or whatever the magic number is). Once you've earned that amount, put the credit card away and only use it for emergencies. The points you earned can be put toward your trip, and you'll likely get one or two of your plane tickets for free! Keep a cute change jar in your main living area. (There are some cute "travel fund" change boxes on Amazon HERE, HERE, and HERE). Every time you find yourself with a handful of spare change, deposit it into your travel fund. Have the kids contribute as well, and designate it for a special portion of your trip (a fancy restaurant dinner or an exciting excursion that the kids really want to do). Another way to do this is to download an app like Qapital that rounds up your purchases to the nearest dollar and moves that "spare change" into a savings account. I know that. Not everyone is in a place in life where they can travel. If you are lucky enough to be in a life situation where travel is possible (physically, financially, etc), and it's something you truly desire, then, by all means, make it happen. Pick a dream destination. Put it on the calendar. Stay motivated. Do the work it takes to make it a reality. You won't regret the experiences and memories you share with your family. (In the meantime, learn to be a tourist in your own city. It's cheap, and your kids will learn how to be good travelers). If you want to stay motivated or have accountability on your journey to save for your next big trip, I would love to connect with you over on Instagram where I post more tips and inspiration on the subject of family travel! Come over and say hi! I would love to know - what dream trip are you currently saving up for? 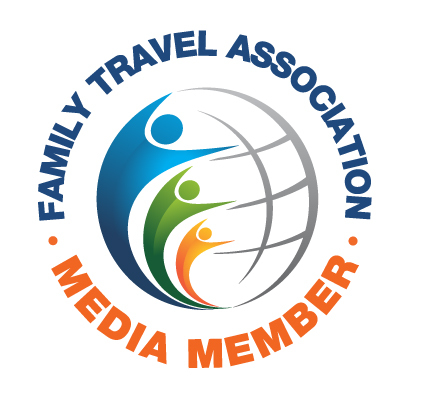 Want more tips on traveling more with your family?